Highlights: Completely new tooling. Especially finely detailed metal construction. Digital decoder and a variety of operation and sound functions included. Partially open bar frame with mostly open view between the frame and the boiler. High-efficiency propulsion with a flywheel, mounted in the boiler. Four-axle Erz Id hopper cars for the transport of iron ore to go with this locomotive can be found under item number 24120 as a 12 car set in the Trix H0 assortment. Another 24 cars in a display with different car numbers can be found in the Märklin H0 assortment under item number 00722 with the specification for the required DC wheel sets. 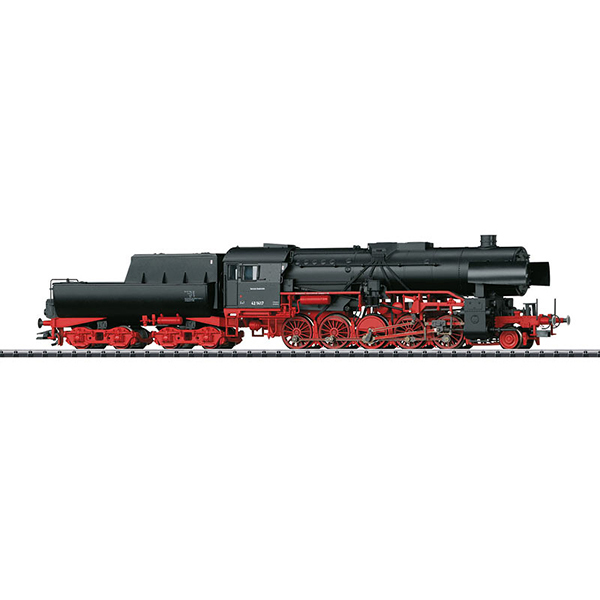 This model can be found in an AC version in the Märklin H0 assortment under item number 39042.